Inside Waste management’s Recycle America facility in Miami, mini-bales of steel cans are hoisted into a roll-off container. Steel cans collected from approximately 110,000 homes in Dade County are being shipped to their end market - not a steel mill but, rather, a nearby foundry. Iron and steel foundries are relatively new end markets for steel cans. Instead of shaping and forming their products, foundries cast them in a mold as close their final shape as possible. U.S. Foundry, a gray iron foundry in Miami, makes municipal castings. Two years ago, the foundry began using steel cans in their melts. To make a gray iron casting, a wooden replica of the product is packed in special sand. The replica is then carefully removed, leaving behind a mold. Iron or steel scrap is then melted in the foundry furnace and poured into this impression to make the product. Waste Management processes the cans into mini-bales, densifying them in a can densifier, which is normally used for aluminum cans. The resulting mini-bales, called biscuits, weigh approximately 30 pounds and fit neatly into the foundry’s cupola. 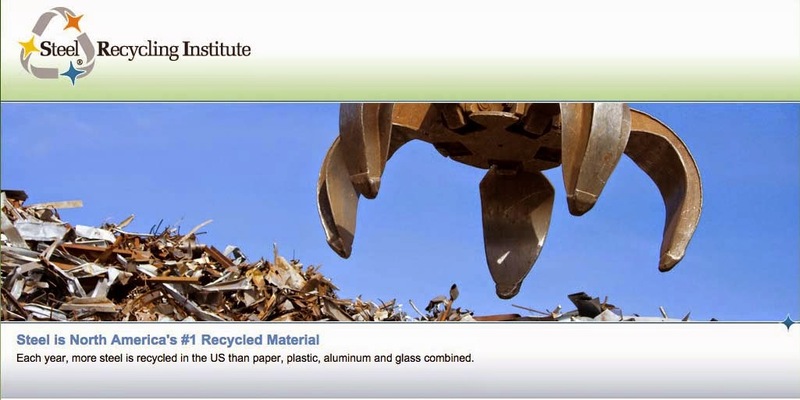 The foundry now recycles about 10 tons of steel cans a week. Shipped by truck to the foundry, the biscuits are unloaded and kept sheltered. When needed, they are magnetically hoisted onto a scaled conveyor and weighed before being charged into the foundry’s cupola. Two or three biscuits of steel cans are used per charge, the bulk of which is auto shred. Each cupola charge weighs about 2,000 pounds.